And guess what? That day, a lot of people asked me if I got a new hairstyle. And some even just said "Nice Hairstyle". But actually, I never do anything on my hair :| Maybe its just that my hair is always on a bun and this is just some of the few moments that I let my hair fall freely. And if you were to ask if my hair is rebonded, No. "Shampoo lng yan" hihi. char. 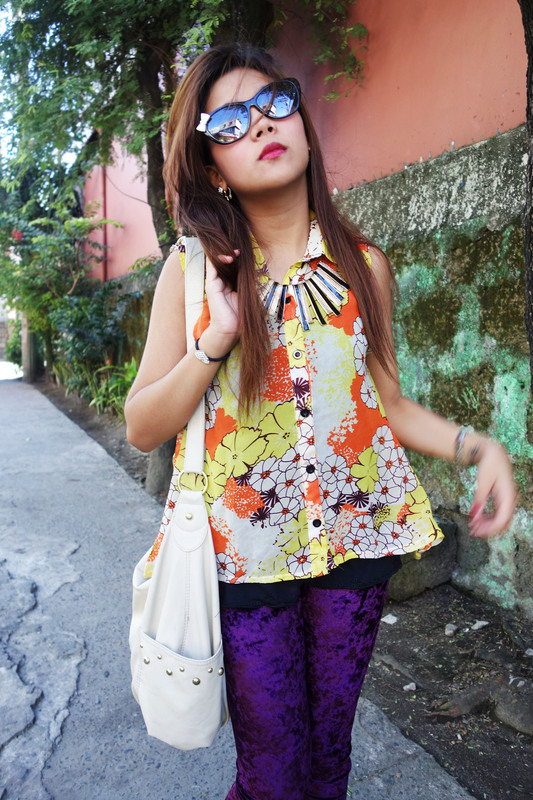 I so love this velvet leggings from ROMWE:) So comfy yet fashionable. Btw, Who would think that velvet and floral would be a great combo? That's the power of experiment. hihi. I so love it whenever I own a designer's item. 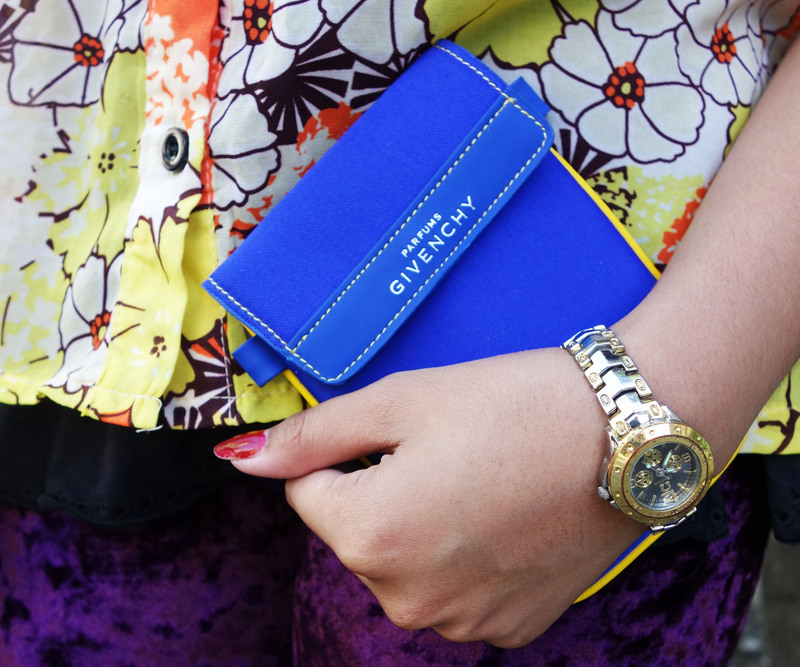 This is an authentic Givenchy pouch that is gift given to me by my auntie. It is a perfect pouch for my SONYRX100 :) Thanks tita Con! Just so you know, all of my outfit shots are taken by my SONYRX100. Thanks Sony! Shoes- Designer's Brand USA-Enzo Angiolini. *Thanks mom for this shoes! *Gift from boyf. Thanks love! You look eye candy:) cool hairstyle by the way. These leggings are very comfortable. I tried the corduroy leggings from Hue and they were too tight and could not get them over my heel. I'm not kidding. These, on the other hand, are very soft, stretchy, & comfortable (in the same size as the corduroy leggings). You could even sleep in these.